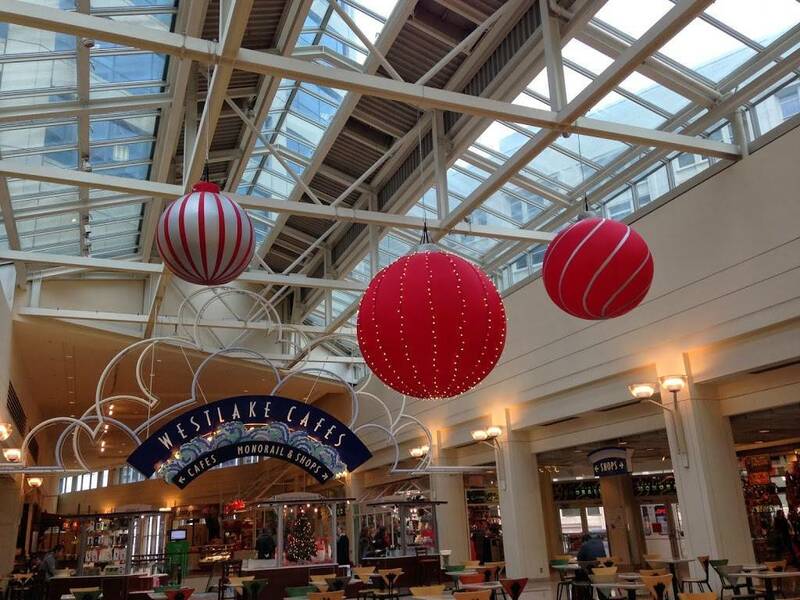 In 2013, the Westlake Center, a premier four-story shopping center located in the heart of downtown Seattle, Washington, contacted us to design some giant ornaments to fill a new space that opened up in their food court area. They really wanted a design that would impress visitors. 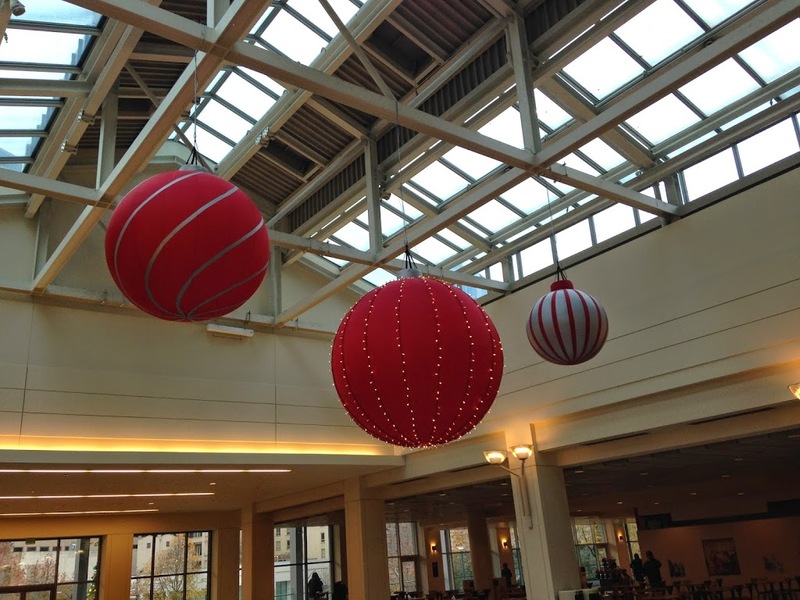 We worked with the center to create some large overhead ornaments that would not only produce the visual appeal they wanted, but also stayed within their budget. 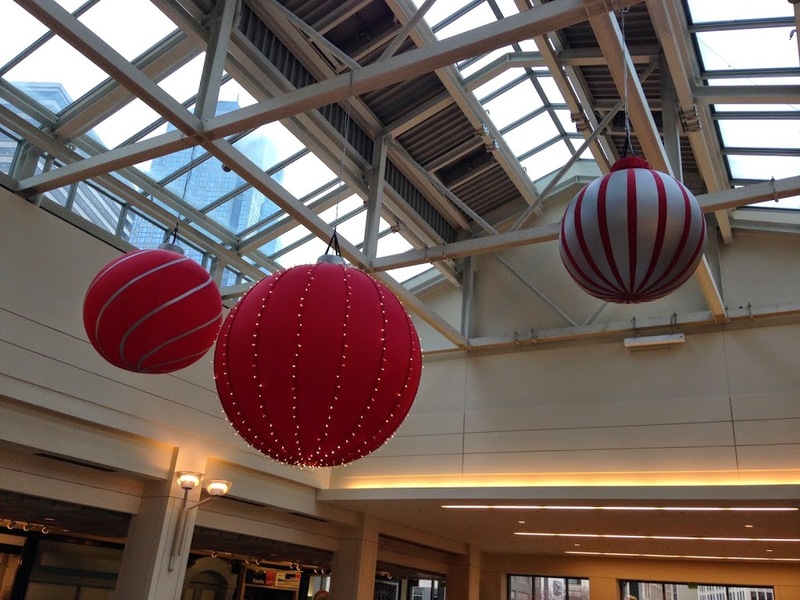 Our team came up with unique designs for three custom sized décor items – a white and red 4 ft. ornament, a red and white 5 ft. 6 inch ornament, and a red 7 ft. ornament. 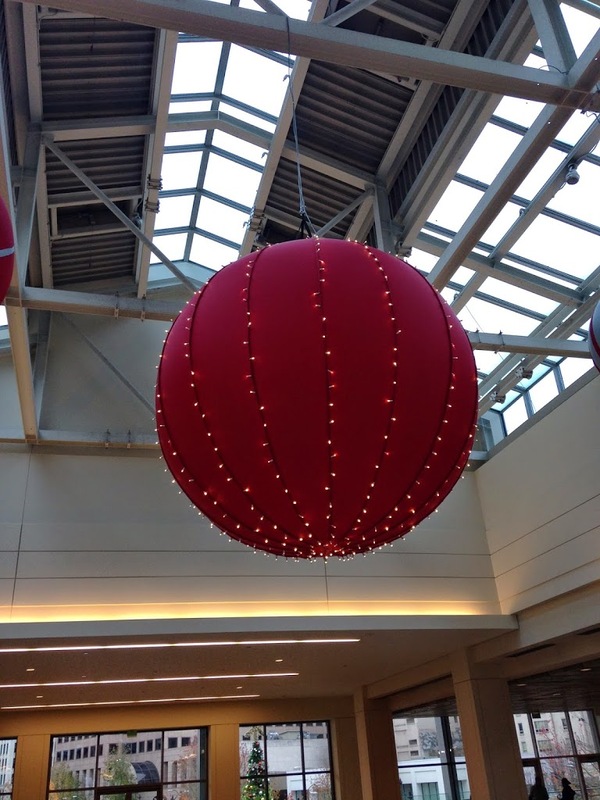 The 7 ft. ornament, which is the center piece of the décor project, features lights sewn into the seams to provide a magnificent illuminated look. Or don't see exactly what you're looking for? Either way, let us know! Fill out the Request a Quote form with just a few simple details about yourself and your upcoming projects and a member of our sales team will get in touch with you shortly.